Join AALDEF for the New York City premiere of the documentary short film, “The Surrender,” on July 16, 2015 at 12:30 pm, at the Village East Cinema, 181-189 Second Avenue (at E. 12th Street), New York City. The film, directed by Stephen T. Maing, documents the struggle of Stephen Kim, a highly-regarded State Department intelligence analyst, who in August 2010 was indicted under the Espionage Act for jeopardizing national security by allegedly divulging classified information about North Korea to Fox News reporter James Rosen. Despite numerous officials in the State Department describing Kim’s disclosure as nothing extraordinary, he faced 10 to 15 years in prison if convicted at trial. “The Surrender” documents Stephen Kim’s struggle to understand the events leading up to his prosecution, as well as his last free days before prison. “The Surrender” is one of several films in the “Made in NYC Shorts” program at the Asian American International Film Festival 2015. 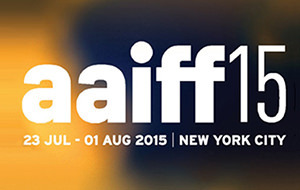 You can buydiscounted tickets by entering this promo code: AALDEFaaiff15. For the entire AAIFF 2015 film schedule and information about other special events, click here.For more information about the real-life story of Stephen Kim, read this Democracy Now interview with journalist Peter Maass of The Intercept.